The ergonomic 3D Footpad plate is fixed to the board by the foot strap screws and can be mounted and repositioned to your individual preferences. 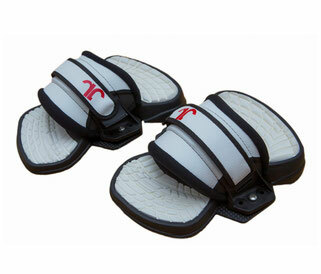 A JN board and pad-plate setup offers adjustments in angle, stance and strap size. This means that everybody finds his personal setting which offers maximum comfort and board control. Wide, asymmetric and lightweight designed foot strap offers the ultimate in comfort. Simple strap-length adjustment on the outside of the strap provides perfect foothold.